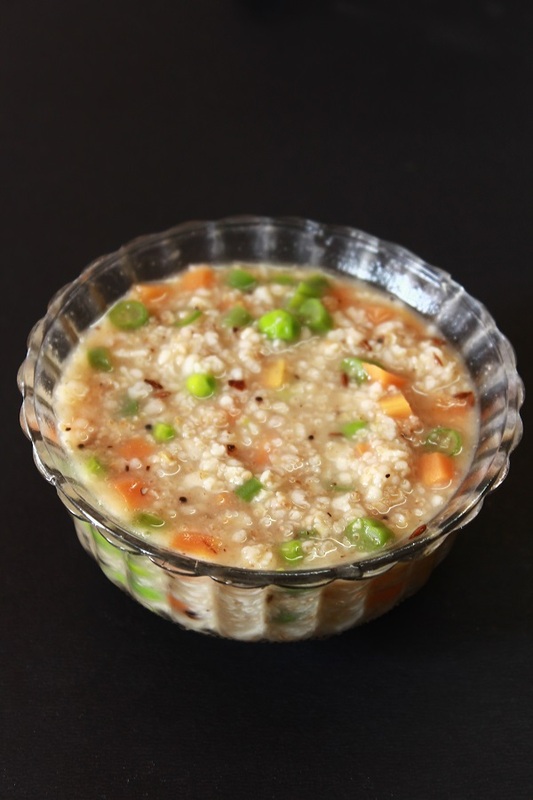 In today’s world, oats has gained popularity and is considered as a very healthy breakfast. They are low in calories , great for weight management, and helps to fight against diseases like breast cancer, type 2 diabetics, heart diseases and blood pressure. 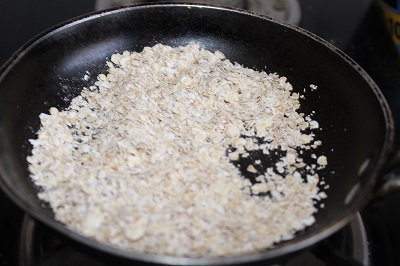 It is also believed that oats can considerably reduce cholestrol levels in your body. Oats contain a good quantity of magnesium, protein and dietary fiber, which makes them easy to digest and leaves you full. 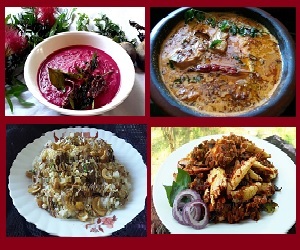 There are various dishes which can be made with oats. 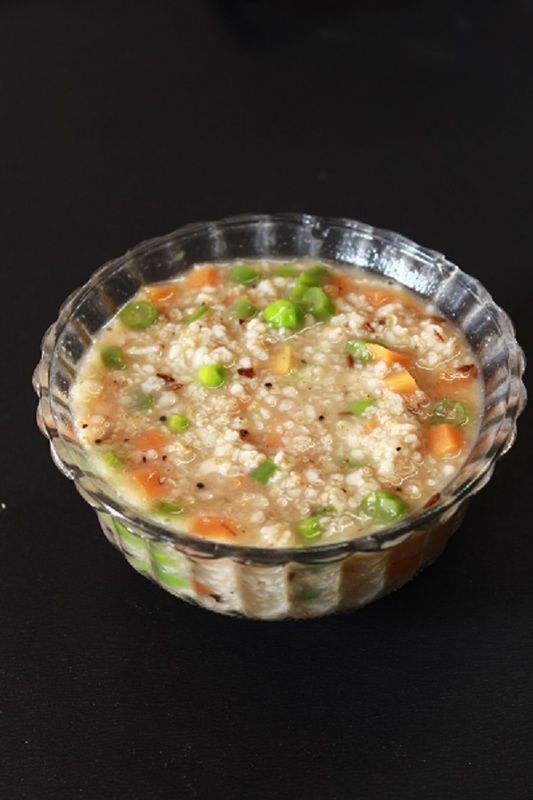 Now a days, oats is a regular item on our breakfast table and I try to prepare different varieties as having the same dish daily is a bit boring. 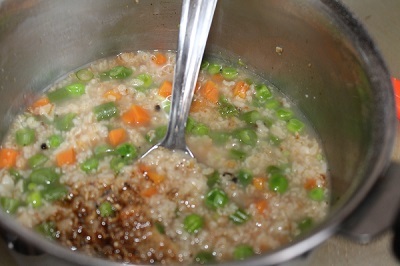 So today, I made this healthy oats porridge with vegetables and seasoned with cumin and hing. It was really tasty and kids loved it. If you want you can add masalas to it for a variety. Now to the recipe..
3. 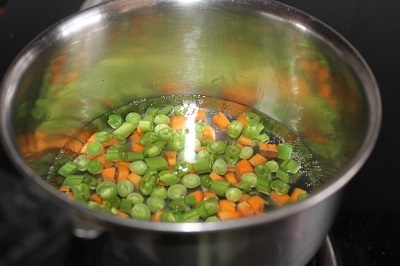 In another bowl, add 1 cup of water and bring it to boil. 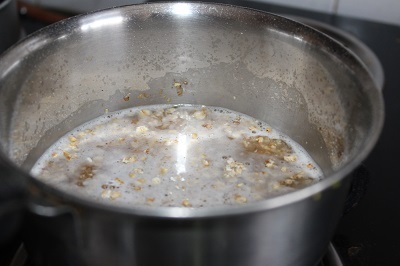 Once it starts boiling, add roasted oats, simmer and cook on low flame. Keep stirring in between to avoid sticking to the bottom of the pan. Cook till oats get cooked till soft. 4. 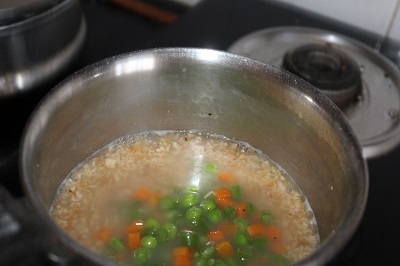 Now add the chopped and cooked vegetables to the oats mixture . Cook both together for 2 minutes. Add salt and pepper to the mixture. (Take care not to overcook the vegetables) . Turn off the flame. 5. 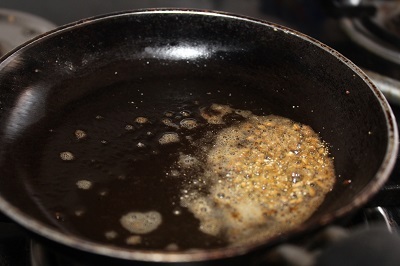 Next in a pan, heat butter, add the items given under for tempering one by one and add to the porridge. Mix well and serve. If you find this post useful, I would be happy if you can share it with your friends in google+, facebook or twitter. All you have to do is click the corresponding button.